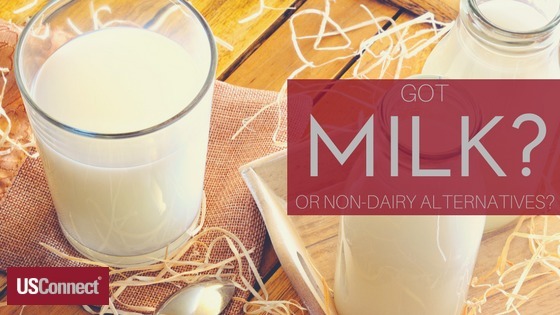 Got Milk… Or Non-Dairy Alternatives? Milk! It’s seemingly the most basic of commodities: a straightforward product that has remained more or less unchanged for the past century. Cow’s milk (1% fat). This is what most westerners think of when they think of milk. Cow’s milk is high in protein (8.2 grams) and calcium (31 percent of the recommended daily value) and relatively low in fat (2.4 grams), although it has a fairly high calorie count (102). It is an inexpensive commodity, but many people—approximately 65 percent worldwide—have trouble digesting the lactose that is an intrinsic part of milk’s make-up, making it inaccessible to them. Unsweetened Almond Milk. A go-to for many vegans (people who eat no animal products at all), unsweetened almond milk is much lower in calories (30-50) than cow’s milk. However, it still has 2 to 2.5 grams of fat, and at only one gram of protein, it doesn’t come close to the muscle-building power of cow’s milk. Many almond milks are fortified with calcium and supply 30 to 45 percent of the recommended daily value (RDV) of this mineral. One other factor about almond milk: production is very hard on the environment, requiring over a gallon of water for each almond grown. That’s a lot of water to create a gallon of almond milk! Unsweetened Coconut Milk. Many people prefer coconut milk for its higher fat content (4.5 to 5 grams), which gives it a creamier texture than many nut milks. It has 40 to 80 calories, but zero grams of protein, so you’ll have to look elsewhere to provide this crucial nutrient. Like almond milk, it’s usually fortified with calcium to supply 30 to 45 percent RDV. It’s a good option for people with nut allergies or those who don’t like the slightly nutty flavor of nut milks. Low-Fat Plain Soy Milk. A good choice for vegans who want to improve their protein intake, soy milk contains 4 to 6 grams of protein (or even more) and 20 to 45 percent RDV of calcium. It has 1.5 to 2 grams of fat and in many ways has a similar nutritional profile to cow’s milk. 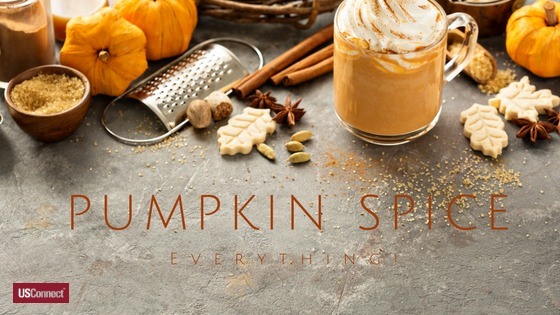 With soy milk, as with other non-dairy milks, it’s crucial to look at the ingredients and nutritional information; many or most varieties have added sugar to improve taste. Another concern is that 94 percent of soybeans are genetically modified in the United States and will likely have absorbed glyphosate from the pesticides sprayed during growth. For this product, it might make sense to look for organic or non-GMO options. How Should Food Service Providers Respond? It’s finally fall, and as you watch the leaves turn yellow and orange, you may also notice the rest of the country turning pink. That’s because it’s October, when the country observes National Breast Cancer Awareness Month. The first National Breast Cancer Awareness Month was in 1985: the result of a partnership between the American Cancer Society and the pharmaceutical company that is now AstraZeneca. The goal, as the name of the program states, was to raise awareness about breast cancer and to encourage women to get mammograms. In the three-plus decades since its inception, National Breast Cancer Awareness Month has grown into a mammoth industry, with many companies turning their products pink for the duration. The success of the awareness program has spawned a slew of critics—many asking if the goal is still to raise awareness or if it’s really to raise profits. This puts foodservice providers in a bit of a bind. Ignoring National Breast Cancer Awareness Month might come across as callous, but slapping a pink ribbon onto everything might seem like a cynical play for extra revenue. Luckily, a few guidelines can keep your company from making a costly misstep. For starters, make sure to avoid pinkwashing. Pinkwashing (like greenwashing) is cloaking a product in feel-good cause marketing without doing anything meaningful for that cause: for instance, labeling food with pink ribbons for breast cancer awareness, but not actually donating any money to organizations that do breast cancer research or support women with breast cancer. Even worse than a meaningless pink ribbon, however, is putting a pink ribbon on something that actually has links to breast cancer. This was the case in 2014, when breast cancer nonprofit giant Susan G. Komen for the Cure partnered with drilling company Baker Hughes on pink “Drill Bits for the Cure.” Baker Hughes drill bits are used for fracking, which has been linked to cancer-causing chemicals. The partnership was a public relations nightmare for all parties involved and for the breast cancer awareness movement. More germane to foodservices companies is the similar PR brouhaha when Susan G. Komen partnered with Kentucky Fried Chicken (KFC) on “Buckets for the Cure,” promising a massive donation to Komen. However, a high-fat diet has also been linked to a higher risk of breast and other cancers, so KFC came under a lot of heat for cynical pandering. 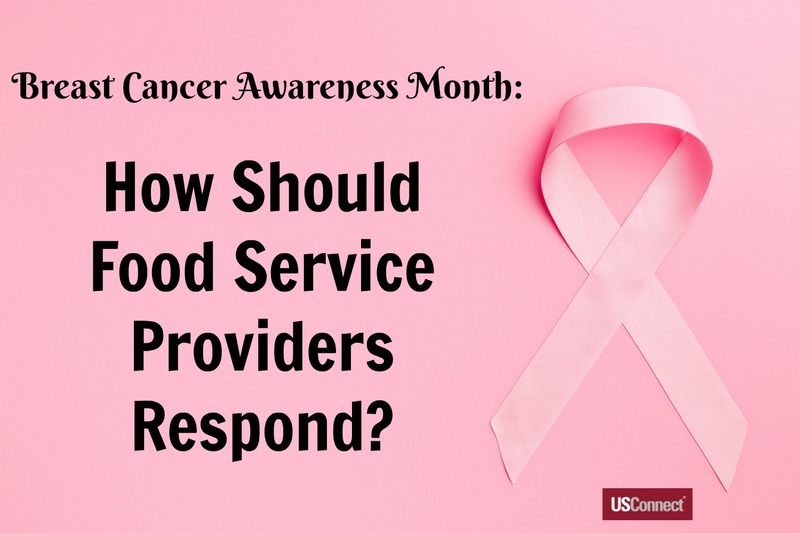 If you’re looking to support breast cancer organizations through foodservice products, start by deciding where you want to donate money. Charity Navigator is a good resource for figuring out how much of your donation will actually go to funding breast cancer research and treatment. Then, choose products to connect to your donation. Because of cancer’s link to unhealthy lifestyles, choose products that are low in fat, salt, and sugar. Finally, market your partnership, and make sure to be transparent about how and where you are donating.